The audio quality is good by the surface is noisy with pops throughout the album. The EQ / balance on my copy sounds pretty good. There's a bit of surface noise, which I'm hoping a light cleaning will fix. Decent copy for an inexpensive price. This Japanese reissue is Westrex 3D-Ⅱ machine cutting LP . . . . . This is a great date. The title track is a little slow and artsy but the album as a whole is well worth the purchase. I have had hit n miss pressing quality results with the 75th Anniversary releases but this one came out quite nicely even though its only 120-140gm (not sure which). Sound is usual RVG Blue Note style. I can recommend this one highly. 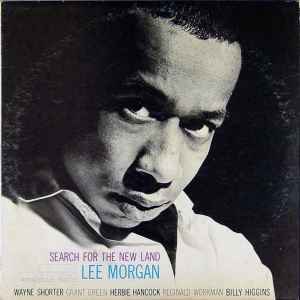 Again, Morgan uses all his own compositions, and there's an all star cast on this one, this time a sextet with Shorter on sax, Hancock on piano, Grant Green on guitar, and Workman on bass, supported by Blue Note house drummer Billy Higgins. The title tune is certainly one of Morgan's more abstract works, and it's all reasonably progressive. Blue Note ‎– BLP 4169 81469 This is the actual catalog number on the LP.